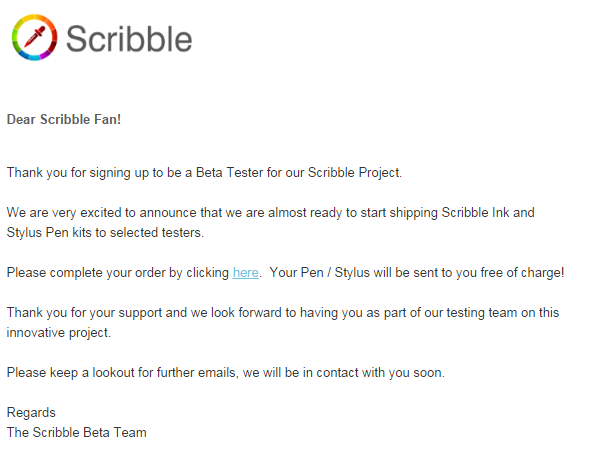 If you’ve been following this blog, you already know all about the Scribble Pen project which has been ejected from two different crowd funding platforms for providing misleading information about their level of progress on their pen that can supposedly write in any color. During their second funding attempt, the team opened a volunteer beta tester program. The obvious question is how they could offer beta test units when they had no evidence of a working functional prototype in the first place, but that was far from the most confusing part of their campaign. Now, months after shutting down and moving to “private investment“, the team has sprung back to life offering their beta testers access to test units for free! (with a $15 shipping fee). Thanks for playing folks. I think this is the final nail in the coffin of the Scribble Campaign. It’s not very likely that they’ll find another crowdfunding platform that will accept them. 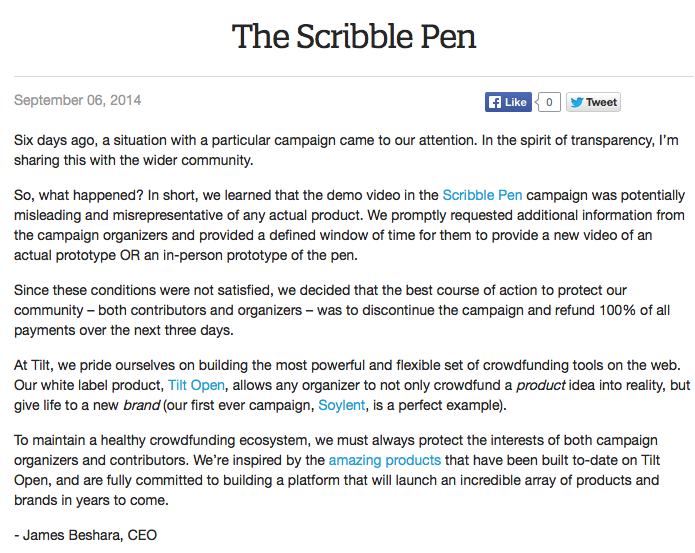 Minutes after the Scribble Pen campaign relaunched on CrowdTilt, the associated video went private and was then removed for over an hour before a replacement appeared without comment from the team. We originally didn’t think much of it after the numerous missed deadlines and mysterious omissions from the project, but new information provided by a hawk-eyed backer reveals that the video has more to it than just crappy camera cuts. 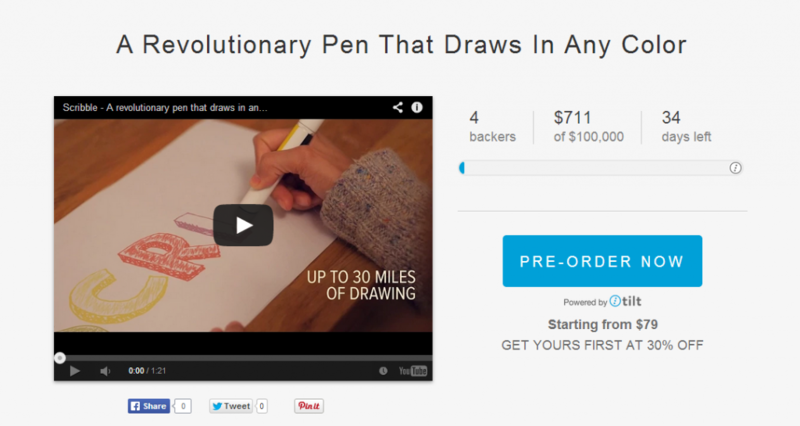 After a bizarre decision to completely shut down their Kickstarter campaign rather than simply produce a better product video, the team behind the Scribble Pen went virtually radio silent for over a week despite repeatedly broken promises to relaunch their campaign. They finally broke that silence today revealing some unsettling changes to their project. The long anticipated Scribble Pen finally launched this week to immense if very short-lived success. The project became wildly popular back in June when they first announced their product to the tech media, but several delays prevented them from launching their fundraising campaign until Monday this week. 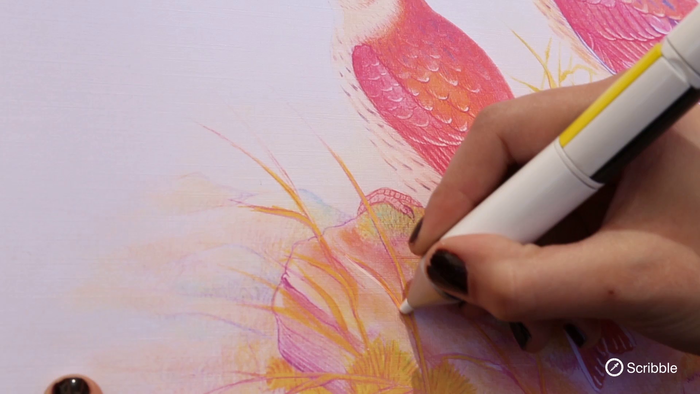 The team’s marketing efforts paid off though as the pen, which allows users to scan colors off objects and then reproduce them in ink, reached its $100,000 goal in just a few hours.